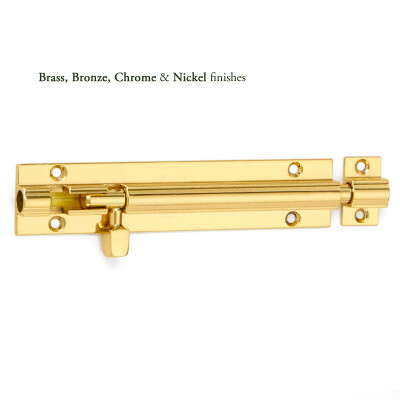 This Brass Bathroom Rim Latch is a beautiful classic period piece - LEFT Hand shown in main picture. 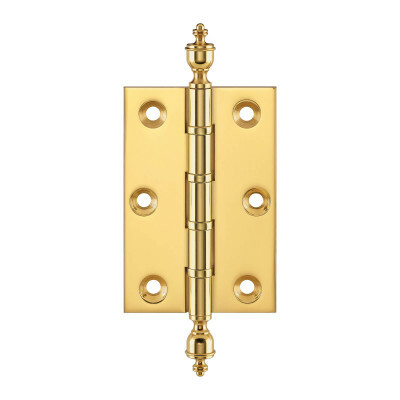 A traditional style Brass Bathroom Rim Latch. 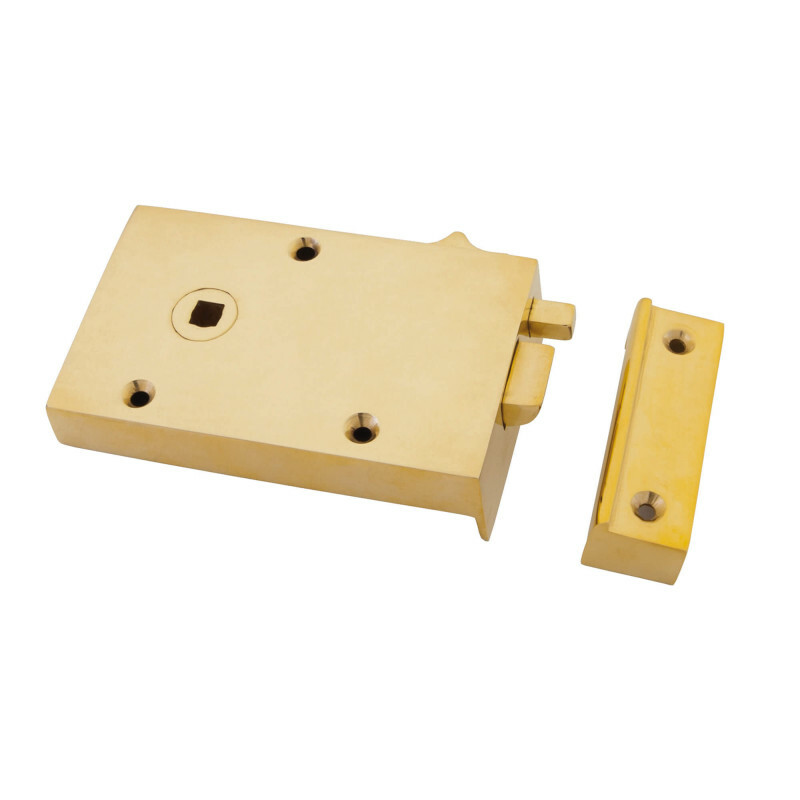 Cast from solid brass, with quality brass movements inside, and a draw bolt at the top for a slide across lock. This produces a delightful, classic Victorian period latch. 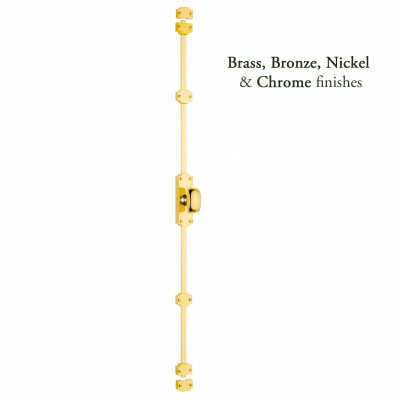 The brass is left unlacquered so that it will continue to age and develop a warm, rich patina with time. If you prefer you can polish the rim lock with Brasso or a similar polish to maintain a highly polished sheen. Although more commonly found in Victorian period houses, this classic plain design would look right at home in all types of property. 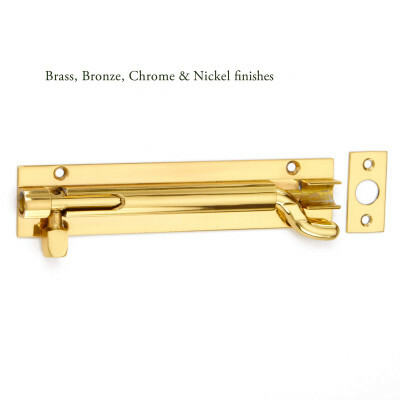 The Brass Bathroom Rim Latch is handed so you will need to choose whether you need a RIGHT hand or LEFT hand lock - LEFT Hand shown in main picture. Important note: There isn't an emergency release mechanism on the this latch, so the lock cannot be drawn back from outside of the room. Delivery time is usually 2 - 3 working days.